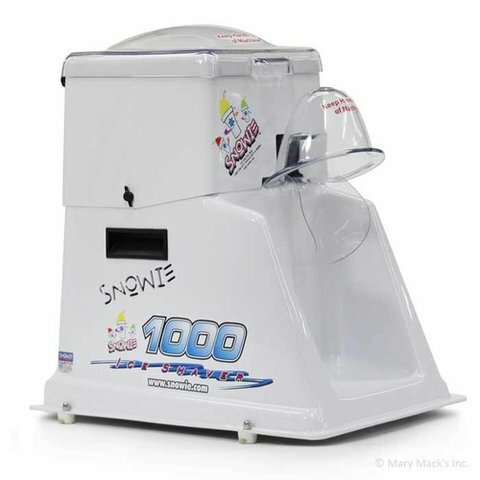 The Snowie 1000 shaved ice machine is for events that need to make 100 snow cones or more. This machine will make shaved ice sno cones all day long. It comes with 8 quarts of flavor that will make over 100 sno cones. If you need to make large quantities you can add 8 gallons of flavor that will produce more than 500 sno cones. We will provide cups and scooper straws, you will need the ice. It takes 30 lbs. of ice to use up 1 gallon of syrup.